Style Name:DLC-2011CHBY Perfecting the art of food preparation. With a brushedstainless finish that adds a touch of elegance to any modern kitchen, theCuisinart Prep Plus Food Processor is the ideal prep tool for any task. It'scompact build allows it to fit comfortably on any countertop and the largework bowl makes it easy to create an entire meal from scratch. 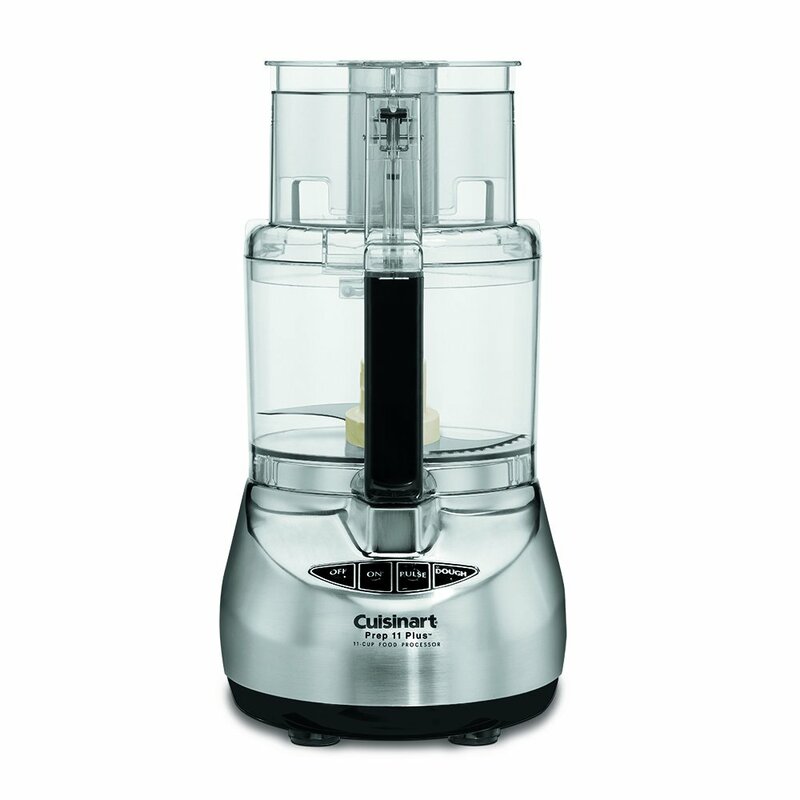 After all, it'sa Cuisinart!.Set includes a stainless steel medium slicing disc (4mm), astainless steel shredding disc and 1 blade that can be used forchopping/mixing/kneading.